That was a delicious piece! Those Divine interruptions in my life, when something so wonderful, and unplanned, happens. My favorite is when my “best laid plans” are failing, the day is a dud, in my estimation, and here comes a knock on the door, the cell phone rings, and somebody draws the best out of me, or just plain blesses my socks off. And my heart leaps!That reminds me of Pullupachair. Always there with a delightful surprise, to challenge and embrace me. Thank you! First off, the beloved blanket made me think of a few things. I just returned from St. Louis, where the humidity was a bit higher than Chicago. This Northern Minnesota girl loves sleeping with the windows open and blankets piled high. I was not anticipating humidity in St. Louis in March, nor the need for an air conditioner, but I gave in to the electronic waves of coolness after getting one restless night of sleep. I am now back in Chicago where I want to have atleast one more day with my flannel sheets before they are put in the cedar chest. Can I have both the flannel sheets and warm spring days?The blanket also reminds me of a pair of plain white sheets that accidentally were washed with a blue ink pen. Needless to say, when the sheets were put on the bed next, there was a bit of a blue surprise. Now after washing those sheets many times through, the blue spots are mere shadows. It makes me ponder all that washes away and how many times I have laid on those sheets and dreamed the night away. So here’s to the gift of well-loved and well-worn linens whether they are on beds, station wagon seats or beaches.i think my mind has been focused on too many serious things as of recently. Today’s table gathering reminds me that the lakeshore is calling and I can’t be late for a run along the lake. Maybe I will even stop for a moment and dip the bits of my toes in the water. The photo is amazing … truly like something you’d see in a magazine, as are all of your photos. It brings to mind pictures in the great magazines I dive into and have a tough time getting out of (Mary Jane’s Farm, Country Living, Mary Engelbreit’s Home Companion, etc.). Spectacular job, Will.I’m happy to see that I’m not the only one clinging to thread-bare blankets and quilts that I love more with each washing. There’s something so comforting about wrapping yourself up in a fabric so familiar and friendly. I guess it’s my grown-up version of a blankie. I really learned the art of spontaneous picnics in Sydney Australia. We were there 6 years ago for 3 heavenly months. Everyone it seems keeps a picnic rug tucked in the stroller, car or under one’s arm. The playground was always littered with brightly colored blankets or “rugs”. We treated ourselves to one…billabong picnic rug… brushed wool on top, rubber coated on the bottom. No soggy picnics for us! It travels with us everywhere. 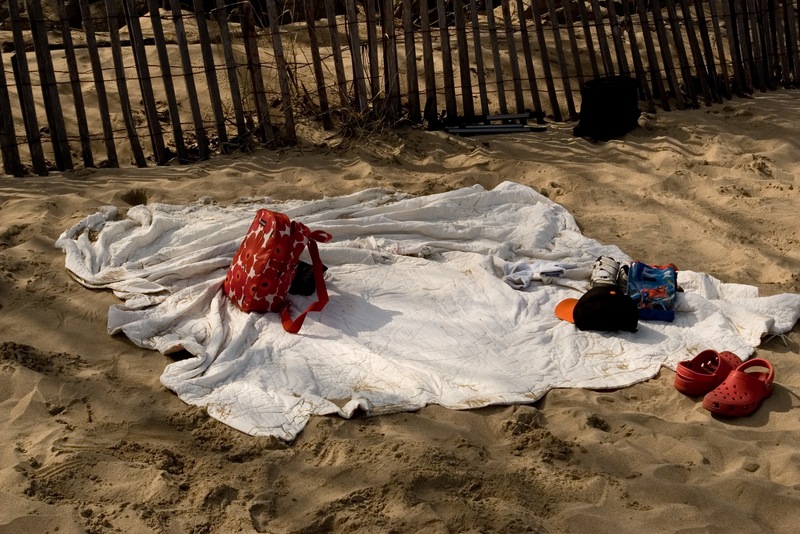 It is warm when we are cold and makes a great place to lay and watch fireworks, rolling waves, kites flying or children running happily.When we have a ” proper picnic”, we actually place a small table cloth in the middle of the rug where the food in spread and we sit around the edge. It is delightful. We have a lovely arboretum a mile from the house (no beach that close) where we often meet my husband for a picnic supper in the late spring and summer. Can’t wait to begin that again….thanks for sparking the memories and sharing the beautiful photo, Will.